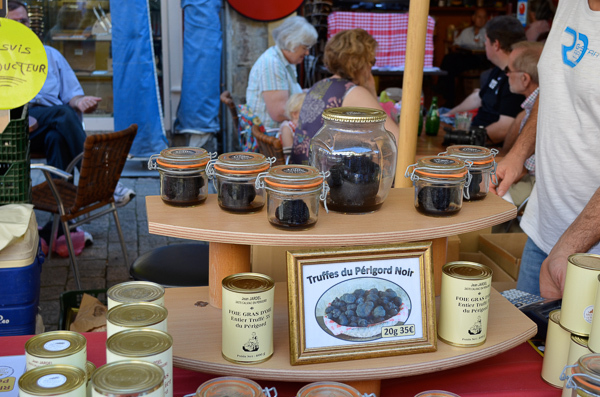 The traditional French foods of Southwest France (Poitou-Charentes, Aquitaine, Périgord, Quercy, and Gascony) include popular French foods like duck, foie gras, truffles and fruit, oysters and fresh fish from the Atlantic and inland rivers. France beaches here on the Atlantic coast are a popular French holiday destination. Cheese: Poitou-Charentes goats are famous for producing delicious regional cheese like Chabichou de Poitou with its a tangy flavor. Marennes-Oléron oysters have a greenish color because they feed on a special seaweed. Arrachons Gravettes (oysters) from the Arrachons river inlet. Oysters are served with lemon, or shallot vinegar. In Bordeaux you find them served with sizzling hot cocktail sausages. Mussels, eels and sturgeon from the Gironde estuary are popular French foods of the region. 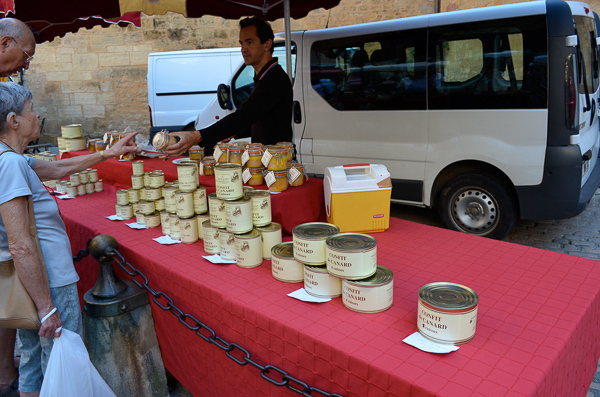 Butter: Charentes butter is a famous French food for its nut-like flavor due to the nature of the soil. Bordeaux located in southwest France is the most important of the French wine regions. Famous French food of Les Landes department in the Aquitaine is chicken and small birds: woodcocks, wood pigeons and ortolan bunting (now illegal because they boiled the poor little bird alive). pigeons grilled and wrapped in grape vine leaves. Turkey rolled and stuffed. Delicious! Rillettes d’oie ou de canard (country pâté of minced goose or duck) la sauté d’oie (sautéed goose); le confit de canard (duck meat that has been preserved in it’s own fat), rabbit and goose French pate (pâte). 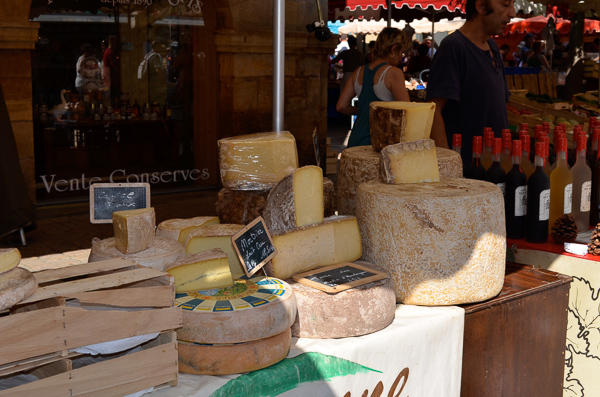 Delicious regional popular French foods of the Périgord features truffles and foie gras in many of their dishes. Truffles: Truffe du Périgord is very famous. You can visit the truffle grounds in November and March when they gather them. foie gras: plain, with truffles or made into a French pate (pâte), cream, mousse or puree. Walnuts are a famous French food product of this area. Walnut oil is used here in cooking. Gâteau de viande (rillettes baked in brioche) is a specialty in the Dordogne area. Garlic. An important garlic growing region and featured in many local dishes. Peach, quince, fig, cherry, pear, chestnut, grape, strawberry, plum, and greengage. This is Basques country and shares some of its heritage with Spain. Traditional French foods here have a bit of spice to them, using the Espelette pepper in many of the dishes. Cheese: strong flavored and made form ewe’s milk or more mild from cow’s. Sometimes served with jam. 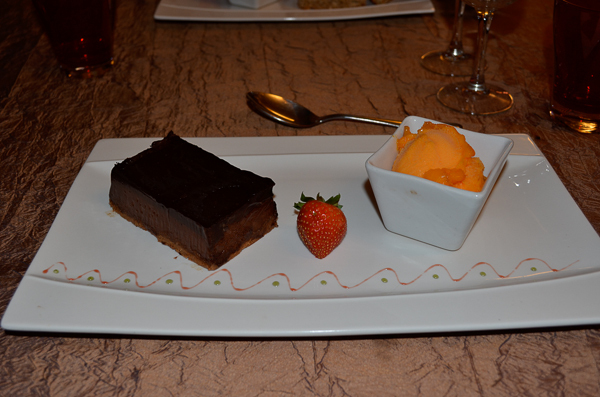 Famous French desserts of the Pyrennes include chocolate. 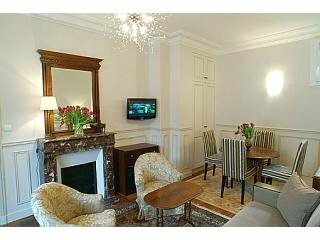 Chocolate: chocolate makers emigrated here in the 17th century fleeing the Spanish inquisition. In the history of French food they were the first chocolate makers of France. In France food from other parts of France are equally distinct and delicious. How to fit in at table by getting to know the custom of French culture. 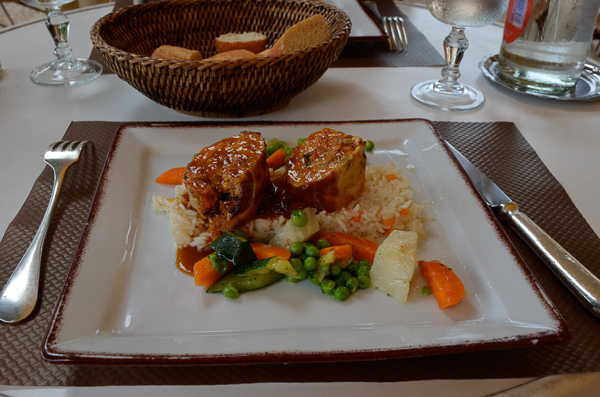 The culture of France is rich and the cuisine is high on the list of most important.